In the bustling coastal town of New Bedford, Massachusetts, during the mid-1800s, it is every young boy’s dream to go to sea and to hunt the mighty whales. Every whaling ship coming to port brings stories of high seas adventure, the salty smell of the ocean, and the precious cargo of whale oil and blubber. This is the atmosphere that Nicholas Robbins, and his older brother Dexter, grow up in. Their own dreams of sea voyage are also enhanced by the fact that their father is a well-respected captain. Despite his untimely death at sea, Nicholas and Dexter are determined to sign up for service when they come of age. When that day arrives, the two boys join up as whalemen on the ship Sea Hawk, captained by the large and menacing Ebenezer Thorndike. From the very first day, Nicholas realizes that serving on a whaling ship is not going to be easy, or fun. He is continually picked on because of his small size, his clumsiness, and his slowness in learning his job. Even Captain Thorndike takes part in harassing the fifteen year old. Just when it seems that things couldn’t get worse for Nicholas, he becomes friends with someone who can get him into a lot of trouble, Captain Thorndike’s daughter Elizabeth. Despite the warnings to stay away from her, Nicholas continues his secret relationship, and soon they fall in love. 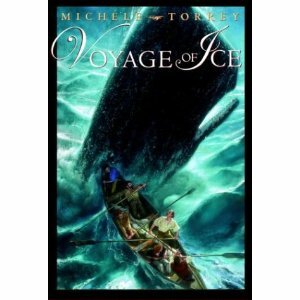 Captain Thorndike discovers the forbidden romance, but before he can punish the young whaleman, the Sea Hawk, which has been hunting whales in the Artic, hits ice and sinks. Only a handful of the crew survive and make it to land, including Nicholas, Dexter, Elizabeth, and the severely injured Captain Thorndike. As the group struggles to survive an Artic winter with little food or hope for rescue, Nicholas demonstrates a courage and strength that few knew he had, but will it change the way Captain Thorndike feels about him and his relationship with Elizabeth? More importantly, will it be enough to keep everyone alive until the spring thaw?